The holiday season is a time of pleasure, excitement, fun and shared time with loved ones for most of us, most of the time. Yet for some it can be a time of stress and tension, at least some of the time. Often it is the “busy-ness” of preparations for celebrations, purchases of gifts, special arrangements for children, travel arrangements and travel itself, having visitors (perhaps house guests), financial concerns, as well as a host of other pressures. A few times during all this, we may pause, exhale a deep breath, and wonder if the trade-offs are really worth it. For some of us, there is disappointment, sadness, even hurt. Our pursuit of idyllic, perfect events and experiences may not be fulfilled to some extent, perhaps at all. Plans go awry, tensions percolate between family members and maybe friends, open conflict may break out. Liberal use of alcohol as part of the celebrating may intensify all of this, as behavior gets loosened. Alcohol is a disinhibitor after all. As one of my graduate school friends, and long-term trusted colleague would put it: “I instantly regress to being 12 years old as soon as I enter my parents’ home. I find myself thinking, feeling, behaving in much the same ways I did then. The same conversations take place around the table. It’s like a time machine has moved us all back to some of those difficult times.” This is not a pleasant déjà vu. The “holiday blues” take hold at some point, perhaps during the season itself, or not until it’s all over, sometime in January, maybe early February. Clinical psychologists often have a rush of requests for help at this time, as the blues progress into more full-fledged depression, anxiety, or various complaints. How to help early on? Re-evaluate your expectations. Simplify, scale back and expect less of yourself and others. Seek support of a caring spouse and/or close friends with whom you can share some of the disappointments, past and present. These folks you trust can help you re-calibrate. Focus more on people in your life who are genuinely nurturing, supportive, and fun to share time with, and increase your time with them rather than the traditional celebrations. Reduce some of the traditional celebrations that proven to be problematic. Consider starting some new traditions and rituals with these truly special people. Be more careful with your own alcohol (or other substances) intake, so your own thoughts and feelings are more clear as you go along, and there’s less suffering the next day as well. If some of those long-standing traditions which are not always fulfilling are going to be maintained, then consider introducing some new people into the situation. Having a few friends and acquaintances present sometimes helps people be on “better behavior”, as there’s now an “audience” in front of whom they don’t want to embarrass themselves, or for whom they want to create a good impression. Maintain your self-care regimens: enough rest, healthy nutrition, regular exercise, nurturing activities. In fact, even do a bit more of these things to restore and refresh yourself. Lastly, consider starting some psychotherapy before the blues develop, or depression truly emerges. Or return to your previous therapist if he/she was of help. Even a few sessions can be of significant help. 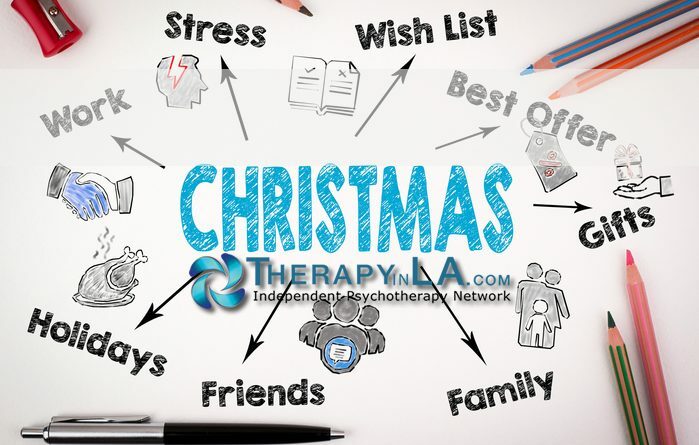 All of us members of the Independent Psychotherapy Network, at www.therapyinla.com, have many years of experience helping clients deal with holiday blues. 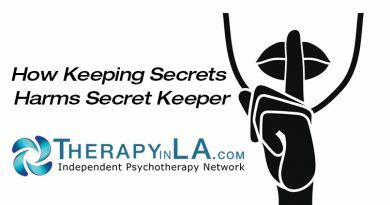 Dr. Alan M. Solomon is a clinical psychologist in private practice in Torrance, CA. A member of the Independent Psychotherapy Network, he can be reached at 310 539-2772 or dralanms@gmail.com. ← How Does Burnout Impact Quality of Patient Care?